First service held at Roseville Middle School on April 2, 2006. Moved our services to Newton Township Fire Department Gymnasium on June 4, 2006. Ten acres of property donated to build facility in July 2006. Moved into current facility on March 1, 2009. 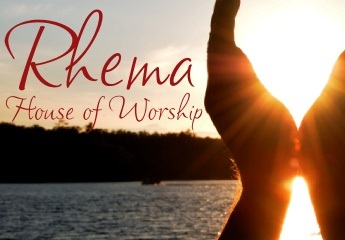 Why Rhema House of Worship? The Greek translation of word in that Scripture is “spoken word of God.” Our desire at Rhema House of Worship is to hear the voice of the Lord. His words are our daily bread, out sustenance for our daily lives. Our desire at Rhema House of Worship is to worship the Lord with all of our heart. We believe it is vital to honor Him in our daily lives. As we gather corporately, together, in His house, we listen to His words corporately and individually, and we worship Him as one voice. Our entire objective is to exalt Christ. This is the springboard for all that we do at Rhema. It has been our focus from the beginning and always will be our focus. The Mission Statement, Vision Statement, activities and ministries that you will see on this website are directly connected to the cause of Christ. All testimonies of salvation, healing, deliverance, signs and wonders that come forth from this ministry are to the glory of Jesus Christ.